Part of NBJP's mission is to showcase the next generation of jazz musicians ... the future "greats!" This is a chance to see them NOW! 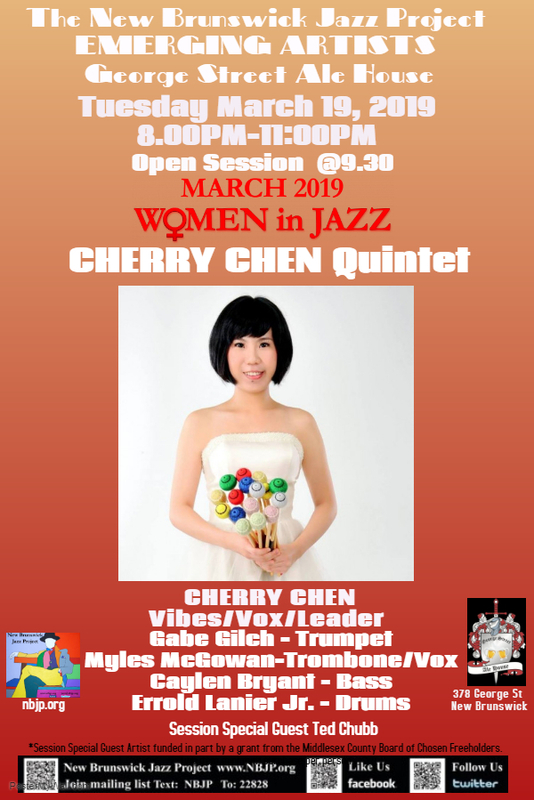 Vibraphonist Cherry Chen leads the band and the session. Session Special guest will be trumpeter Ted Chubb. 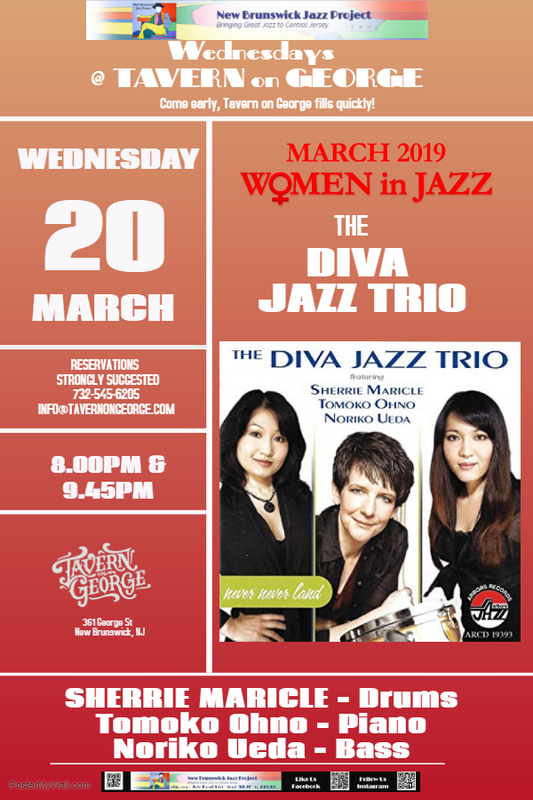 The DIVA Jazz Trio takes their multiple musical powers to extraordinary new levels of swing, sophistication and originality. After 10+ years of playing together, this triple treat of talent has melded their individual skills into a fresh, exciting trio rooted in jazz tradition and unified by a collective inspiration and passion to make exceptional music. The trio has performed at many of the world's most prestigious venues including Carnegie Hall, The Kennedy Center, Lincoln Center as well as major European spaces. They were also featured on the late, legendary Marian McPartland's National Public Radio Show, Piano Jazz. Raised in Osaka, Japan, this talented musician began studying the organ at the age of three, at the famed Yamaha Music School. 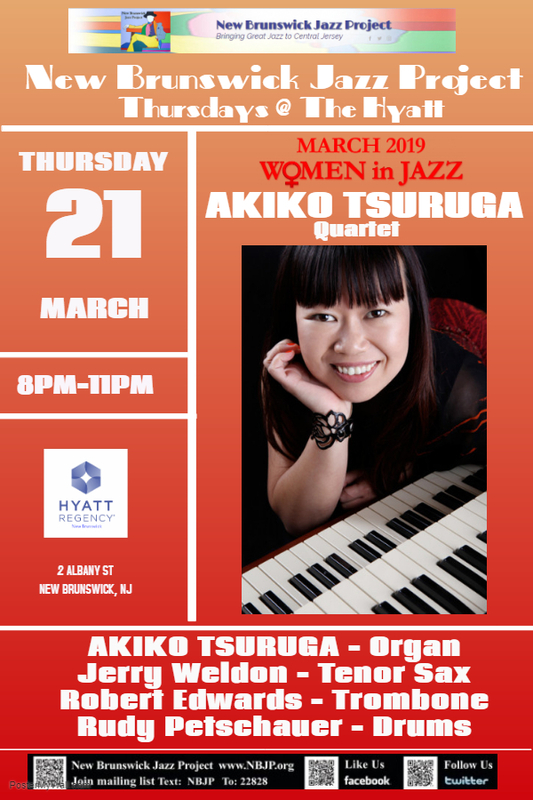 After discovering her passion for jazz very early in her musical journey Akiko launched her career immediately after graduating from the Osaka College of Music. After landing in the mecca for jazz, New York City, it didn't take long for Akiko to make her mark - she was soon embraced not only by audiences, but by her fellow musicians, as one of the top organ players in the city. It was an invitation to sing with a local jazz trio that got her hooked. While studying classical piano at the Janacek Conservatory in the Czech Republic, Emma Larsson sat in with the group on one of their gigs and never looked back. 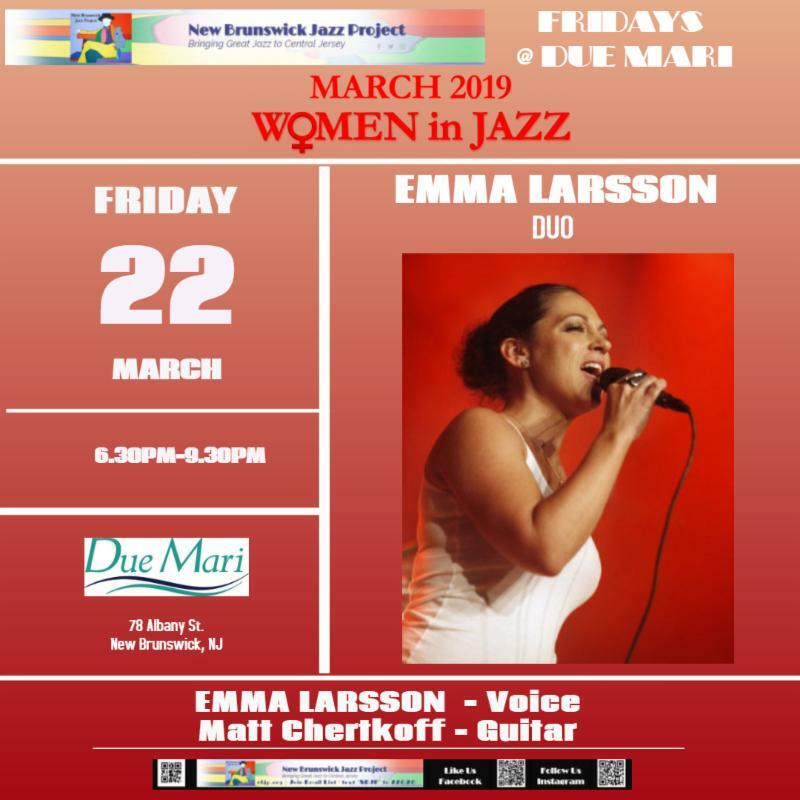 Emma signed her first recording contract with Imogena Records while working towards her Masters Degree at the Sibelius Academy in Finland.Since moving to New York, Emma has performed regularly around the city including headlining at the Blue Note. April 10 will mark the 9th Anniversary of NBJP and this year, in lieu of a fundraising event, we are having a PIANO DRIVE! We have made it thus far without a piano and have been able to bring hundreds of stellar jazz artists to New Brunswick. However, we know that having a piano will allow us to present an even wider array of musicians. We are going to place the piano downstairs at Tavern on George, our weekly Wednesday venue. 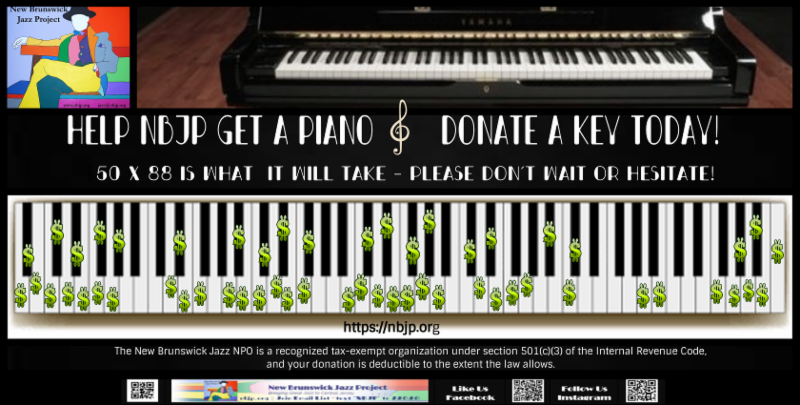 PLEASE help by donating a piano key (or two) at $50 each by April 10!! Your name will be listed on a plaque installed near the piano. You can mail a check to New Brunswick Jazz Project, 8 Hiram Square, New Brunswick, NJ 08901, donate online via PayPal on our website, or give your donation to Virginia, Mike or Jimmy at any NBJP event. Please be sure to note NBJP- 88 on your donation. The New Brunswick Jazz NPO is a recognized tax-exempt organization under section 501(c)(3) of the Internal Revenue Code, and your donation is deductible to the extent the law allows. WE HAVE 55 KEYS DONATED!